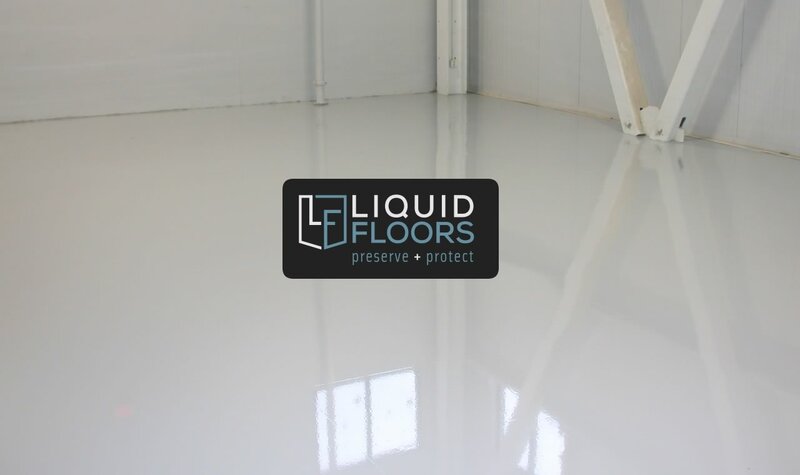 BWM is a jewel of South Carolina industry and Liquid Floors has proudly worked with this fine automotive company on multiple occasions servicing their flooring to provide a safe and beautiful workplace to the employees in Greer, South Carolina. 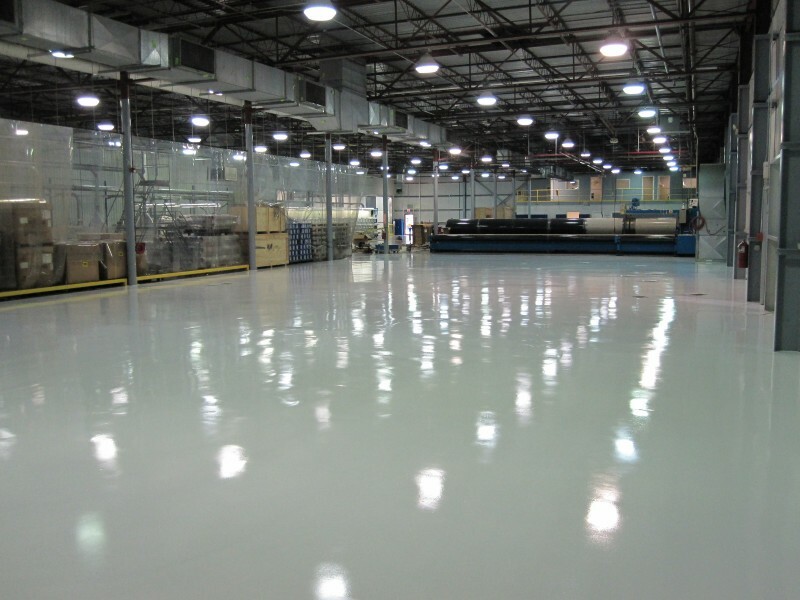 Factories and warehouses are often busy and bustling with any number of people and machinery moving throughout the space at harrowing speeds. These workspaces often act like miniature cities (and sometimes are as big as actual towns) and therefore need some sort of structure in place in order to preserve the safety and efficiency of their space. 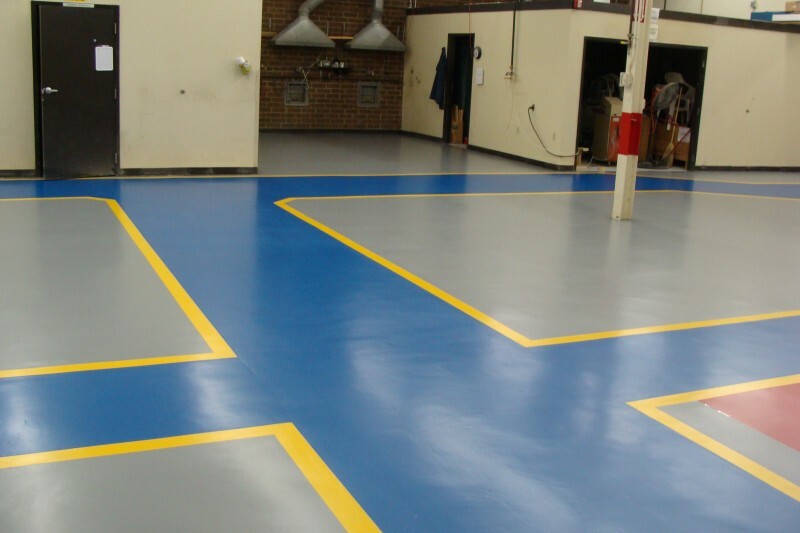 Epoxy floor coatings and line striping is a way for industries to create some semblance of order to their manufacturing facilities. 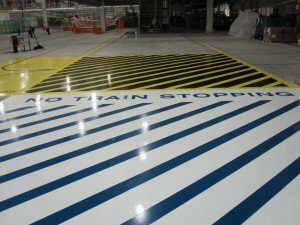 Liquid Floors is capable of creating any type of line striping whether or not you need to simply indicate a traffic zone or a dangerous area. 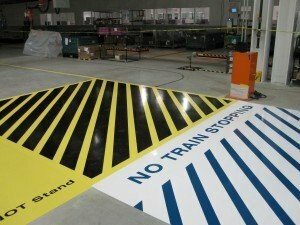 When you have heavy machinery moving through an area, it is critical that your workers know where to go, how to move and what areas are dangerous. 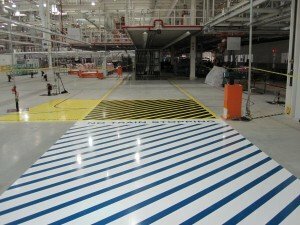 BWM was looking for an epoxy flooring company who could line stripe their facilities in order to increase safety and improve the effectiveness of their processes. 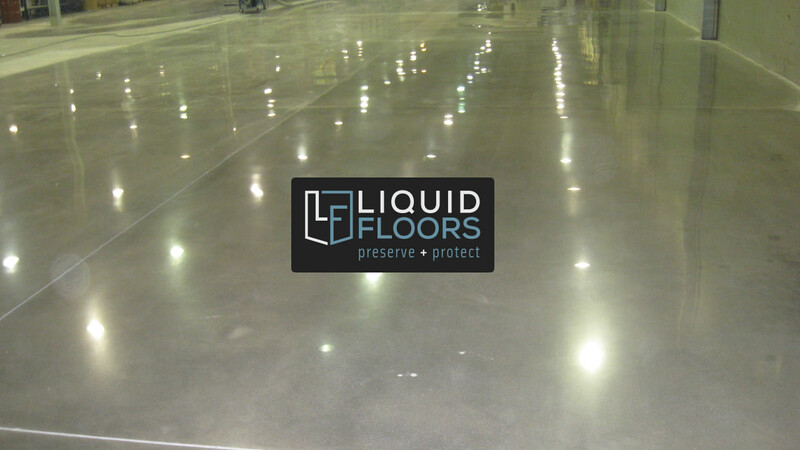 They chose Liquid Floors for this very task. Our team of Epoxy Flooring pros loaded up our trucks and headed to Greer. 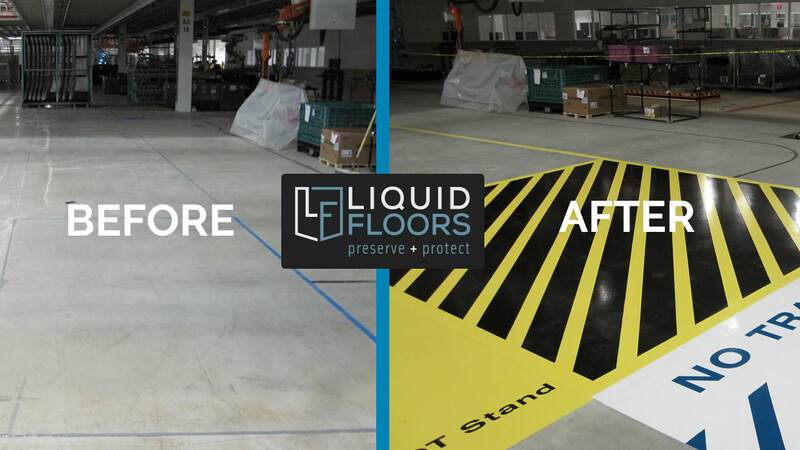 We turned their bare concrete floors into a thing of beauty and safety. 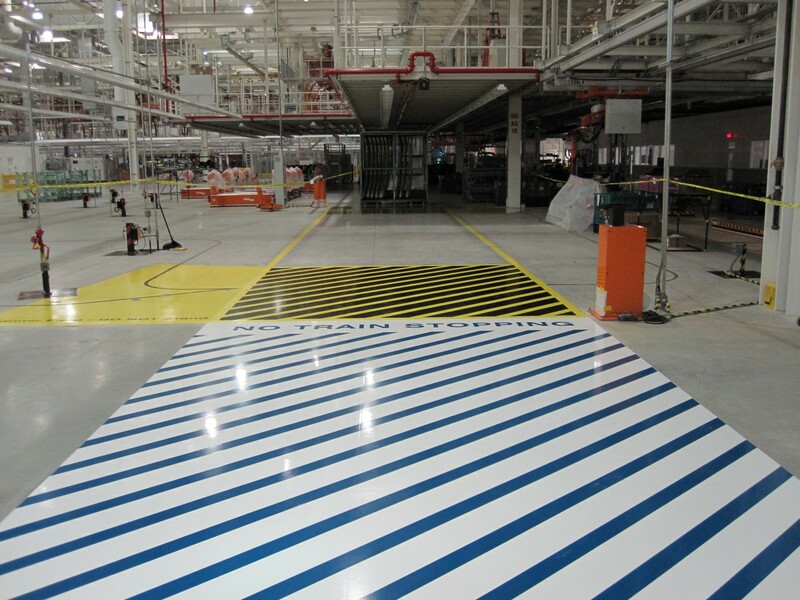 This particular job was rather intense for us as it required a number of diagonal lines to run parallel to each other. In order to lay down precise epoxy coated line striping, our techs must first hand grind the are where the line will be placed. 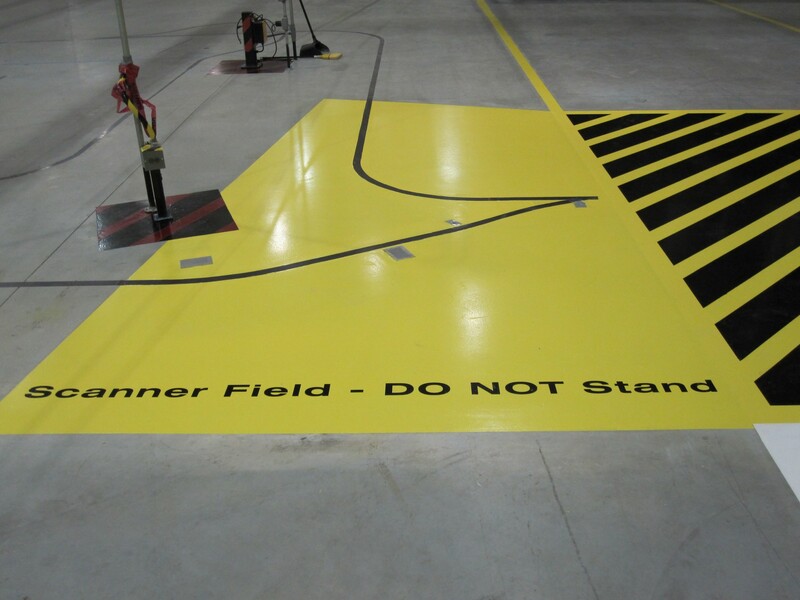 They do this with a carefully placed straight edge to ensure the exact precision of the line. 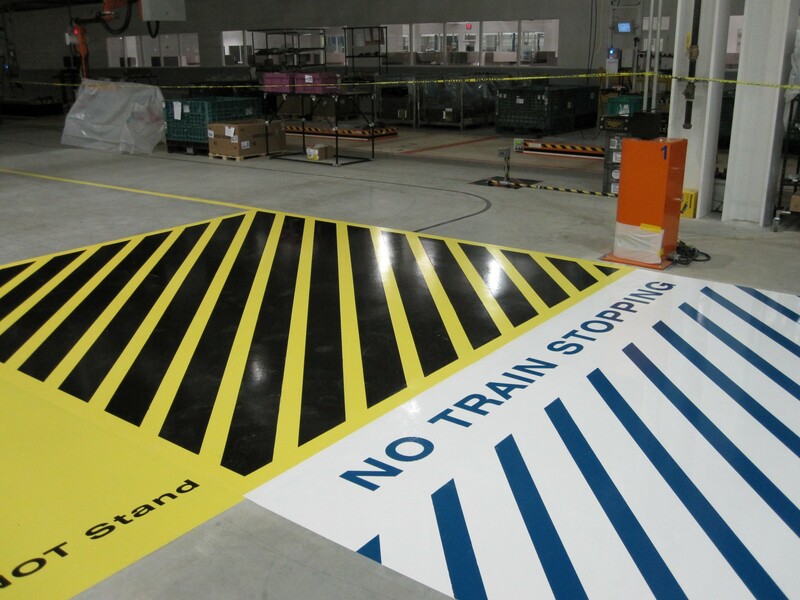 Using tape they lay down 2 coats of urethane, pull the tape and let it cure. 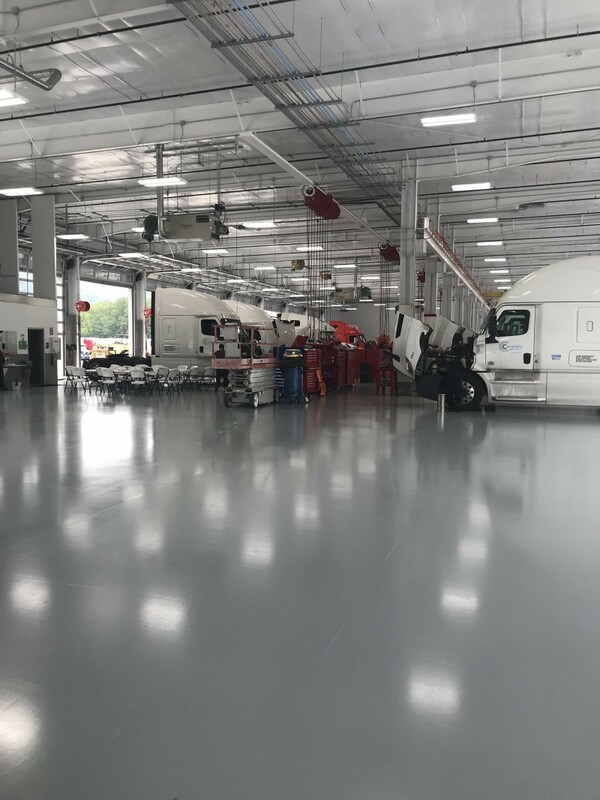 As you can see from the pictures, we were able to provide BWM with a complex, but attractive epoxy coated area which not only beautified the space, but served a functional purpose as well.